and transform the way people participate in the giving season. Did you know that 58% of Canadians agree they would prefer a charitable donation being made in their name instead of a traditional holiday gift? 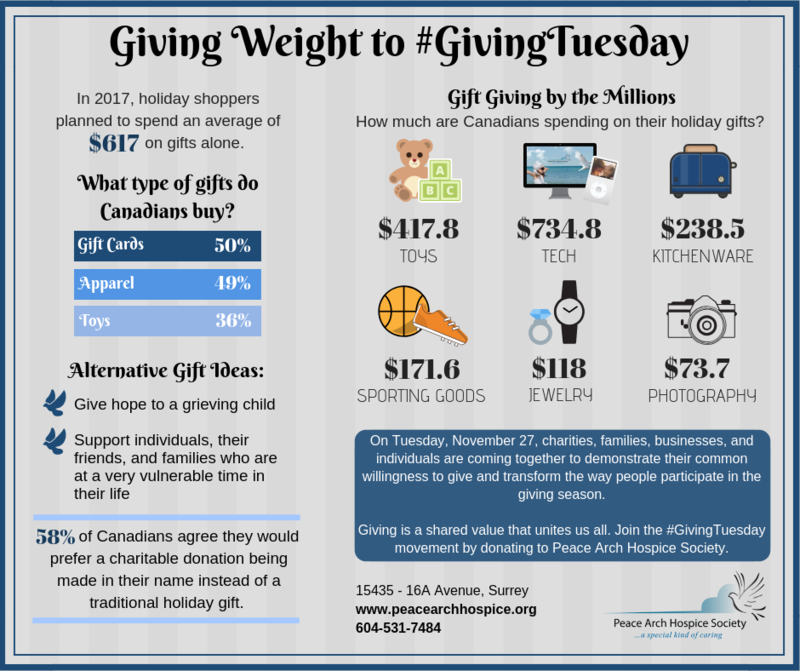 If you’re interested in joining the #GivingTuesday movement and would like to donate to Peace Arch Hospice Society, you can visit our website at: https://www.peacearchhospice.org/donate-online/ or stop by our Supportive Care Centre at 15435 – 16A Avenue. If you’d like to learn more about Peace Arch Hospice Society or have any questions about our programs and services, please call 604-531-7484. #GivingTuesday is next week! Check out our “A Special Kind of Caring Campaign” below for more details.